Sudden death syndrome disease cycle. 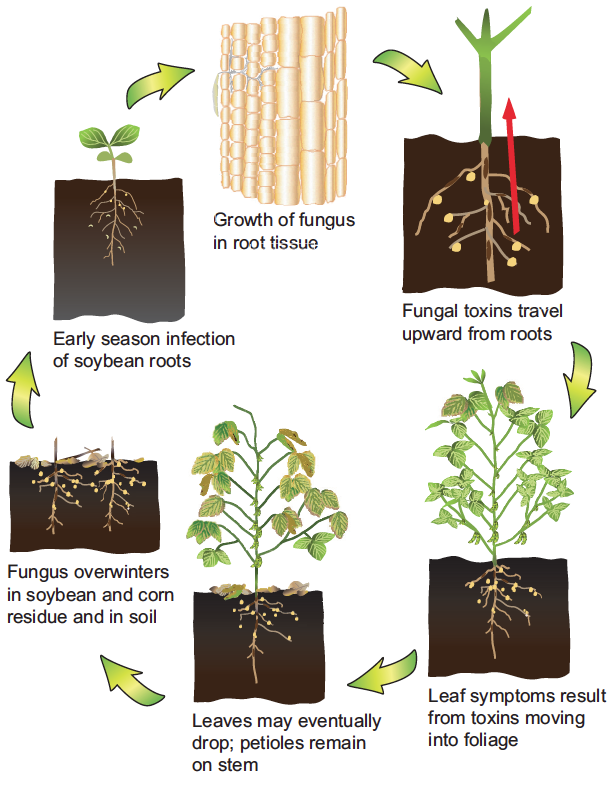 The fungus survives on infested crop residue or in soil for several years. Crop rotation with corn is not effective because the fungus can increase on corn residue. 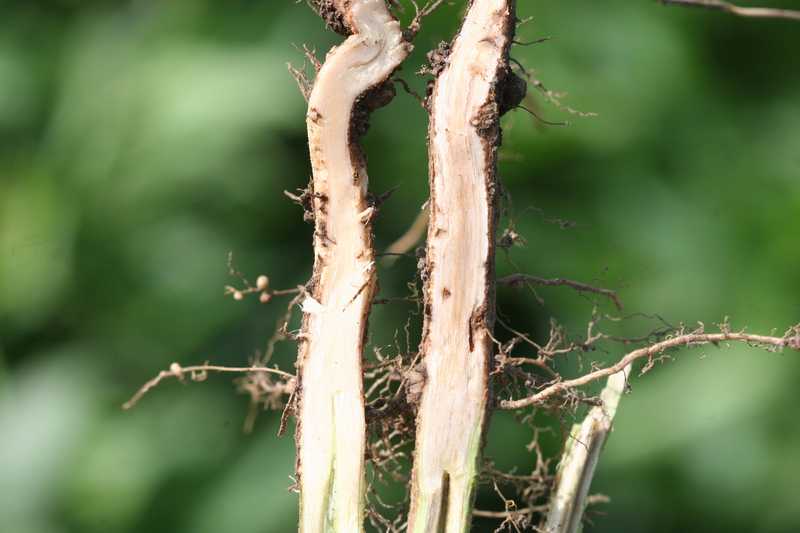 Root infection in soybean can occur within days of planting and is favored by high soil moisture. Significant rainfall during reproductive stages favors foliar symptom development. 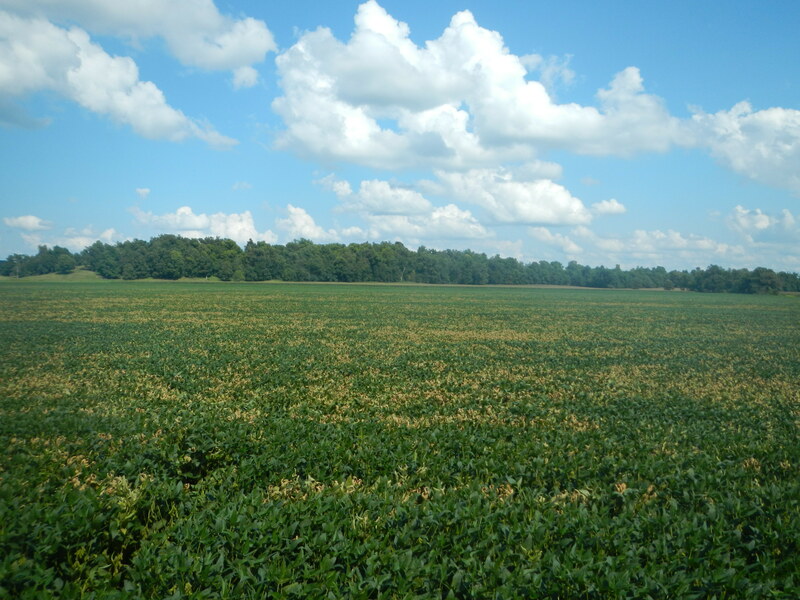 Soil compaction and infection by soybean cyst nematode (SCN) can increase disease severity. 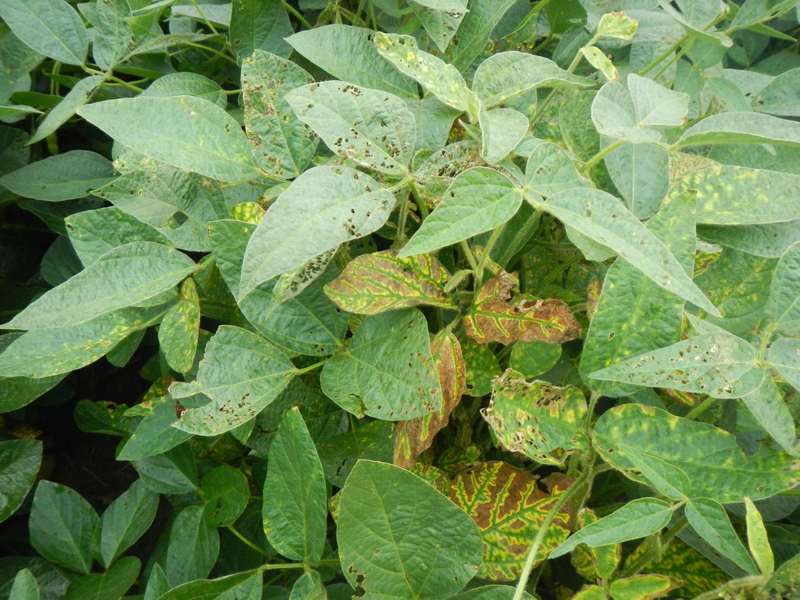 Several soybean varieties have partial resistance (resistance made up of more than one gene) to SDS. Check with a local seed dealer to identify an appropriate variety. 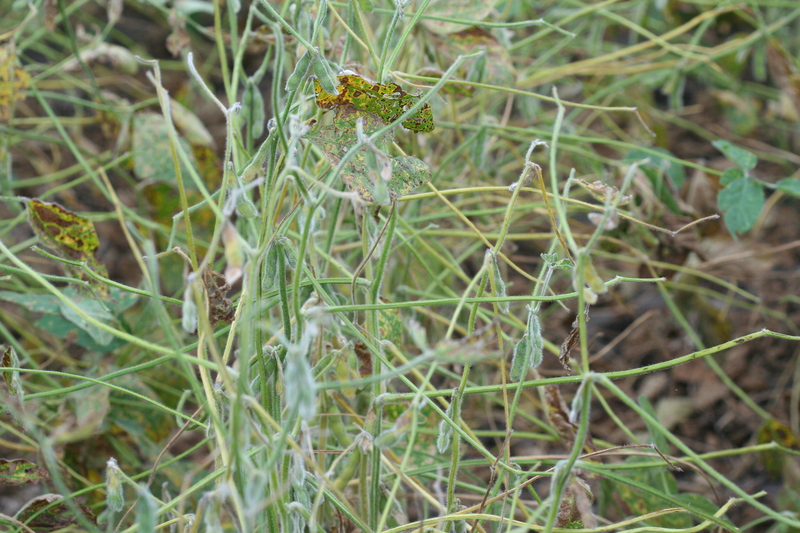 Effective seed treatments also can help reduce SDS. Reducing soil compaction and SCN population densities can decrease the risk of SDS. 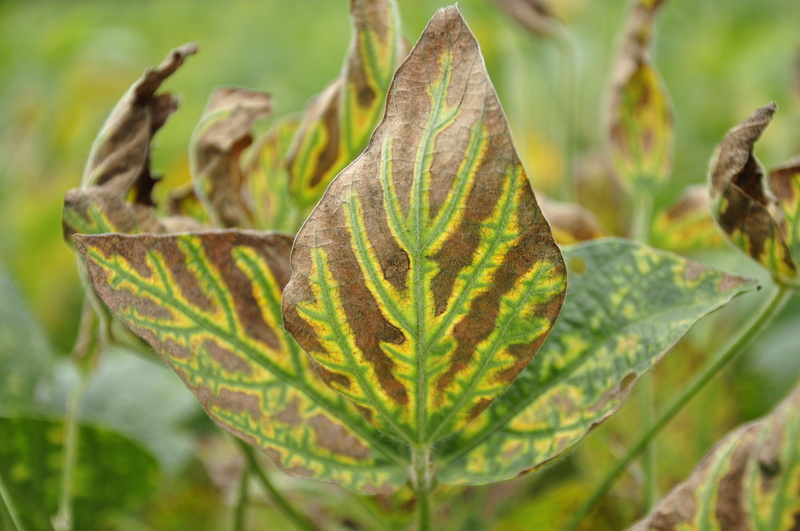 Characteristic sudden death syndrome foliar symptoms. 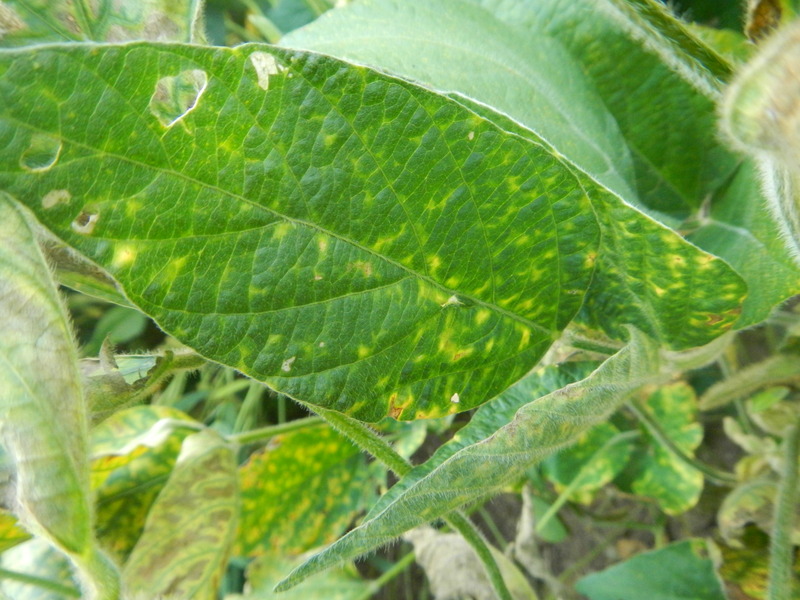 Soybean plant showing foliar symptoms of sudden death syndrome. 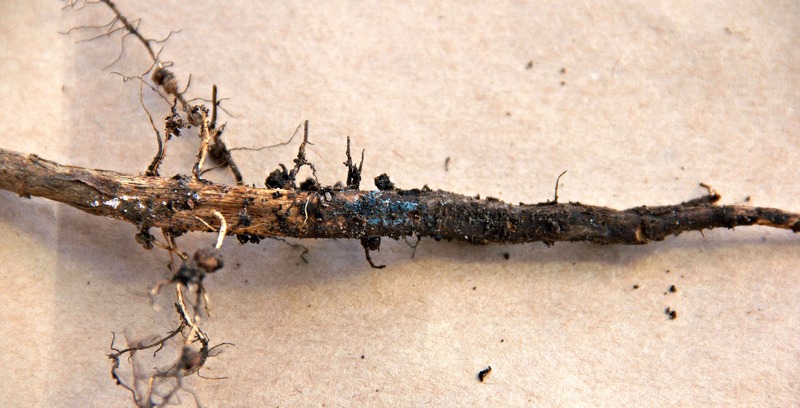 Bluish fungal growth may be seen on the surface of roots if soil moisture is high. Woody tissue of the taproot is discolored light gray to brown. 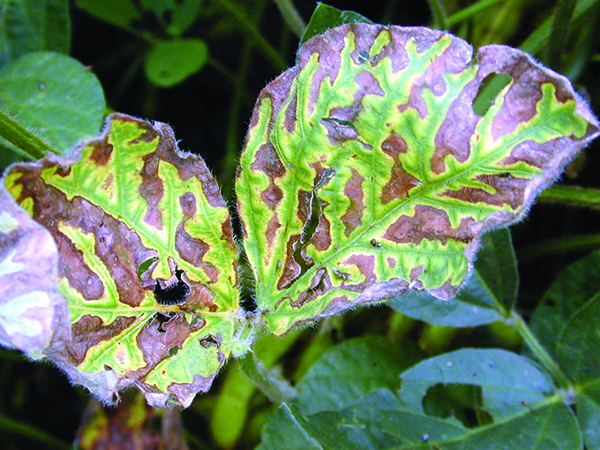 Sudden death syndrome can be visible as patches within a field. 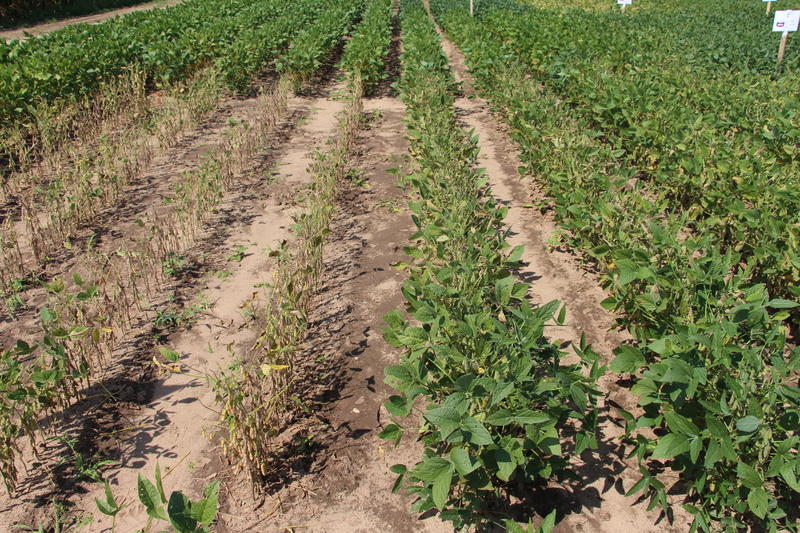 Soybean variety susceptible to sudden death syndrome (left) compared to a more resistant variety. Early foliar symptoms of sudden death syndrome. Interveinal chlorosis and necrosis characteristic of sudden death syndrome. Petioles of plants with sudden death syndrome remain attached after leaves fall.